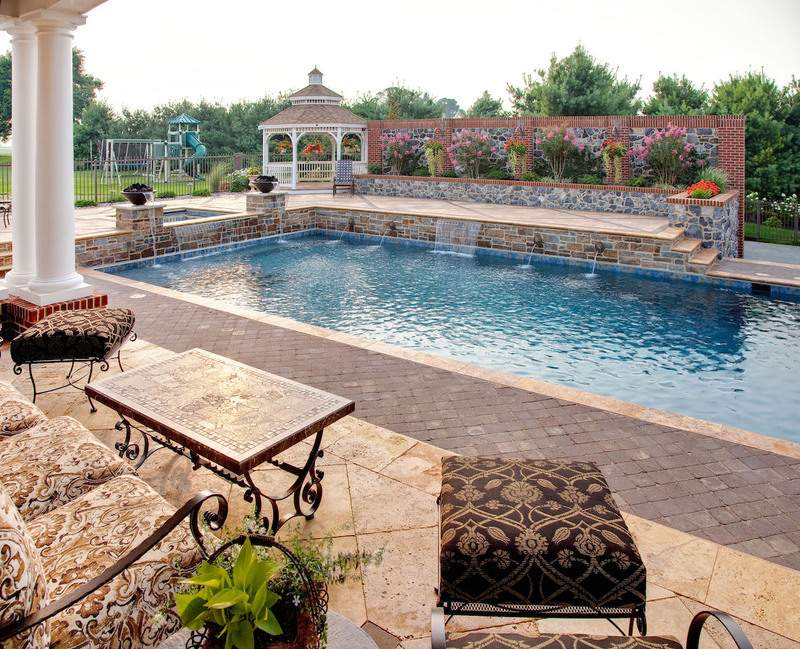 With a daughter in high school, only a year away from graduating, these Lancaster, PA homeowners were eager to turn their backyard into a space where their family could make long-lasting memories. 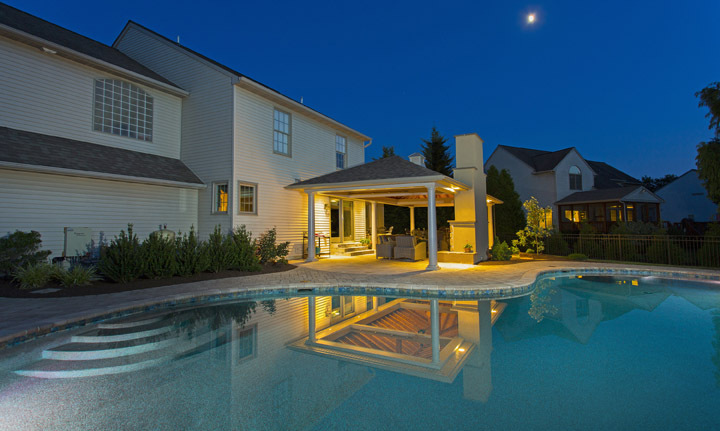 Of course, they also wanted it to be a space that could be used in the years ahead—when their daughter would return home from college or maybe even have a family of her own. 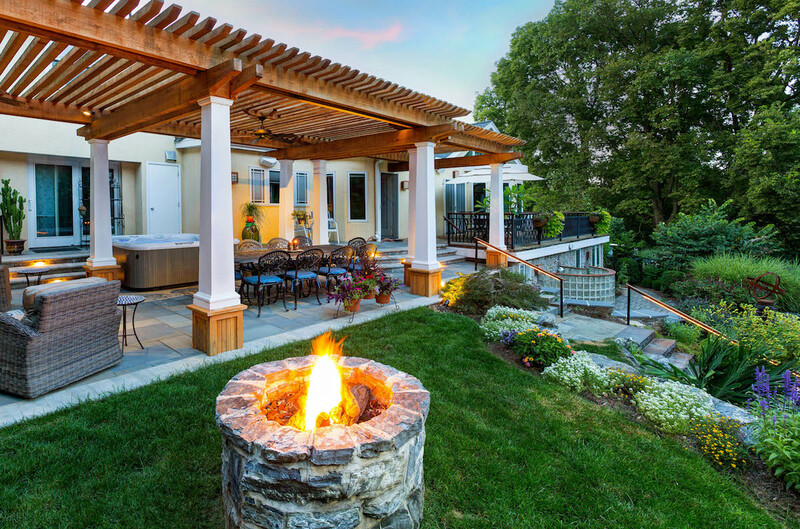 When it comes to constructing a complete outdoor living space, it often happens that not everyone in the household agrees on exactly what they want. 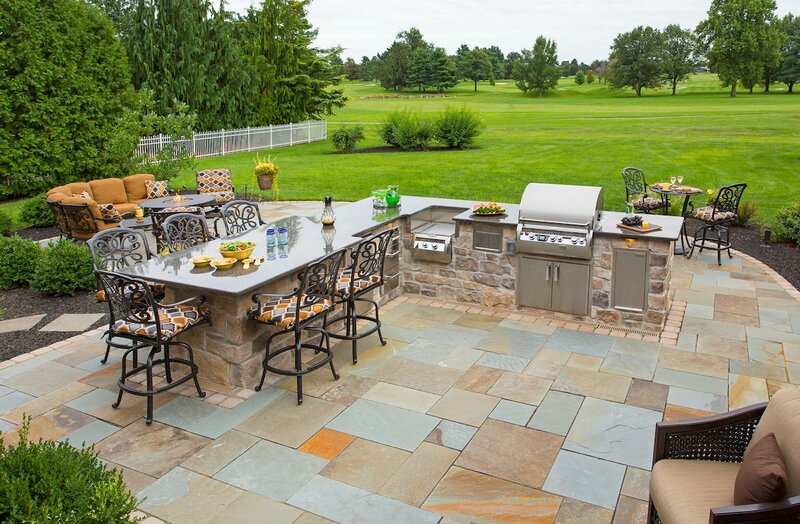 Of course, considering the fact that an outdoor living area is a big investment, it’s important to make everyone as happy as possible. 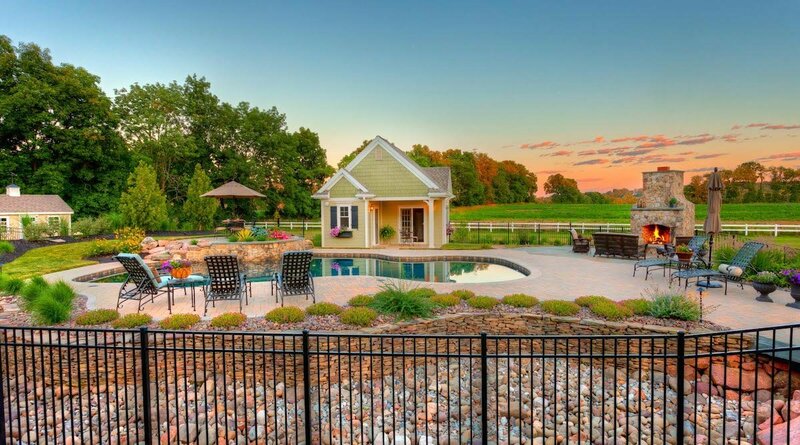 That was what happened with this New Holland, PA landscaping project. While one decision maker of the household loved straight lines, the other loved curvilinear designs. 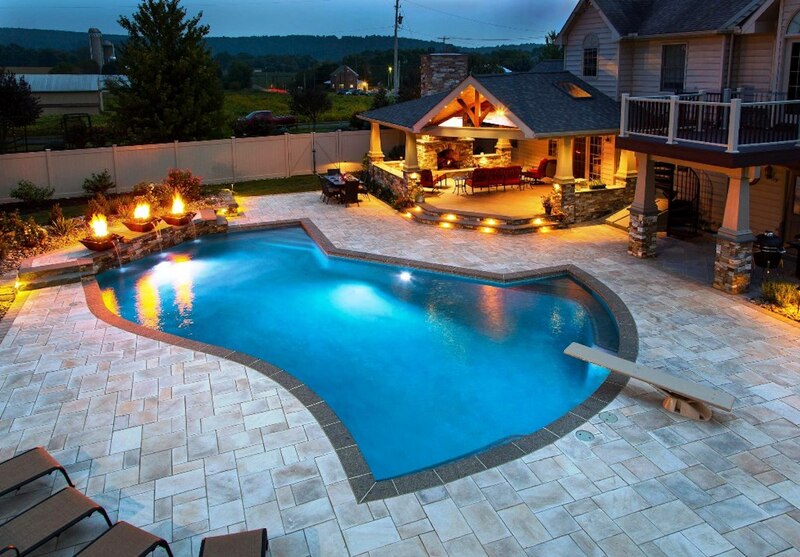 These two conflicting requests might have seemed impossible to accommodate but actually posed an excellent opportunity to create a truly unique pool design.